While not a Summer Gazebo Readings event, many of our friends are involved in the North Sea Poetry Scene--and are published in the 2008 Anthology. Another great evening on Monday--and now only one left! Vicki Iorio started it off with a poem she wrote about her poetic spirit having been rekindled by our little program-- many thanks to her! and Yolanda Coulaz ended the evening with powerful. poignant pieces. Barbara Reiher-Meyers is a Long Island, New York poet, board member of the Long Island Poetry Collective. and the North Sea Poetry Scene. Barbara also curates a poetry calendar for www.poetz.com/longisland , has coordinated events for the Northport Arts Coalition, Smithtown Township Arts Council, and Walt Whitman Birthplace, among others. Her poetry has been published in print journals and on line. Barbara facilitates monthly workshops in Ronkonkoma, sends weekly Emails of local poetry events, and has edited several volumes of poetry . "Sounds Familiar" is the title of her first book of poems. Barbara Hoffman is a widely published poet. Her poetry has been published in the Minnesota Review, Beloit Poetry Journal, Blue Mesa Review, Gryphon, Poets On, Slipstream, Long Island Quarterly, Aura/Literary Arts Journal, Inkwell, The Long Islander, Ekphrasis, The Seventh Quarry (Wales), Out of Line, Margie, Fulva Flava, City of Sea and Light Anthology, Passaic County Community College Poetry Anthology 1989 and 1991, Each in Her Own Way, Fan, Sightings - Live Poets Society Anthology, The North Sea Poetry Scene Anthology 2005 and 2006, Performance Poets Association Anthology, Karamu, and Italian Americana. In addition, Ms. Hoffman has had articles published in The New York Times and Newsday. Her short fiction can be found in Catholic Girls, published by Penguin. She was the subject of WLIW's Channel 21 show – Originals – Arts on Long Island series, and the subject of Riverhead Cablevision's Channel 27 show – Ideas and Images. Ms. Hoffman has been awarded a Fellowship to Virginia Center for the Creative Arts, Sweetbriar, Virginia and a Fellowship to National Writing Project at SUNY Stony Brook. She was the winner of the American Pen Women award. She has attended workshops with Galway Kinnell, June Jordan, William Stafford, Pattiann Rogers, Jorie Graham, Marvin Bell, Helen Cooper, Alfred Corn, Allen Ginsberg, and Jack Ludwig. Karen Swenson's latest book, A PILGRIM INTO SILENCE, will be out this September. It includes sections on New York City, Tibet and Mother Teresa's home for the Dying Destitute in Calcutta. Swenson has gone to Asia for the last 27 years for 2 months of each year. She has been to Tibet 8 times and worked for a month at Mother Teresa's. She teaches at Barnard and NYU. Yolanda Coulaz is a poet, photographer, editor, and founder of Purple Sage Press. She teaches poetry writing workshops to middle and high school students throughout Long Island and hosts the Farmingdale Library Poetry Series. Yolanda edited and published the anthology For Loving Precious Beast to benefit Loving Touch Animal Rescue, and her first book of poetry Spirits and Oxygen is being used in an advanced course in poetry at SUNY Stony Brook. Joan Marg, is a mother, grandmother, great-grandmother, and Assistant Registrar working 21 years at NYIT. Joan has been a great friend of the Gazebo Readings--a regular attendee and loyal supporter. She enjoys writing poetry and short stories and is a member of the Farmingdale Creative Writing Group, Farmingdale Poetry Group, Performance Poets Association, and The North Sea Poetry Scene. Her poems have appeared in Gridlock, Poetyr, North Shore Women's Newspaper, Long Island Sounds 2007, PPA Literary Reviews #9 through 12, Friends of the Hempsted Plains Poetry Anthology, Long Island Expressions Autism Awareness Anthology, Gifts From Our Circle, and 2001: A Long Island Odyssey. 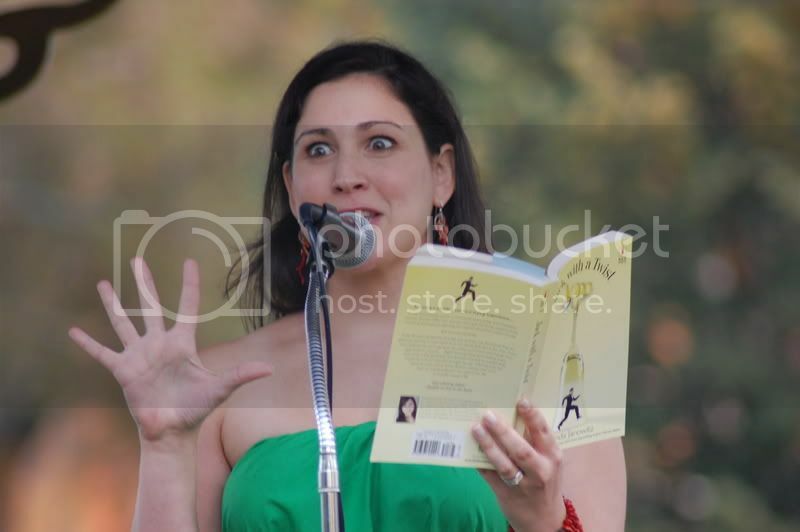 She was awarded honorable mention from Writer's Digest National Writing Contest in 2004 and 2006 and 2007 from the Princess Ronkonkoma Poetry Contest. In her poetry, Joan explores beauty in the natural world and the complex interactions among human beings, expressing insights of new joy. Florence is a retired NYC educator. Her short stories and essays have been published in LI Writer's Guild anthologies, Newsday and Cucina Classica Cookbook. She is a frequent audience member here at the Gazebo. She writes a column for the Order Sons of Italy in America newspaper "The Golden Lion". She studied in a Fulbright program in Perugia and in Siena with a NY state Teacher's grant. She calls herself an "Italophile" and requires frequent trips to Italy to feed her psyche. 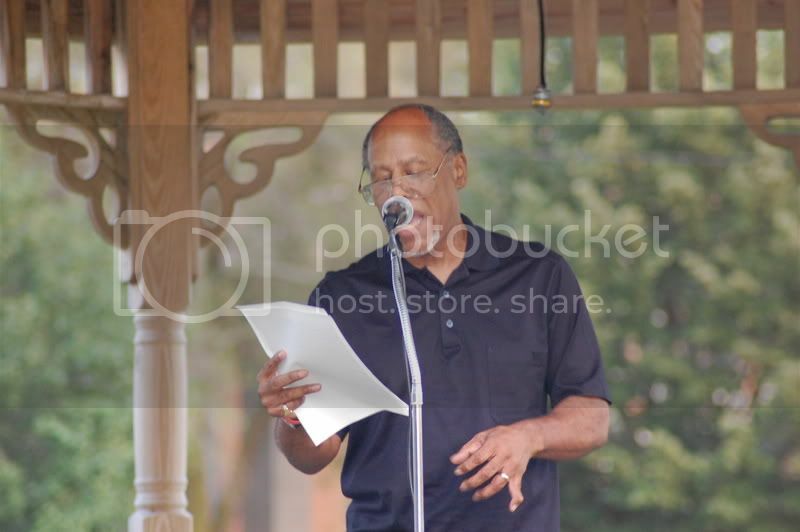 D. T. Bush, a writer of poetry and prose, is a member of the Long Island Writer's Guild. Her poems, essays and novel excerpts have been published in two of their anthologies, "Water Walking" and "2001; A Long Island Odyssey". She is also the creator, publisher, and editor of "Poetyr" magazine, a contest based magazine for and by Poets. The author has enjoyed a successful book signing at the Book Revue and the Cinema Arts Center in Huntington, New York for Anton's Place; a work of adult fiction. Other published works include two illustrated children's books, "Rebecca's Song" and "Grandma's Glasses". Other works waiting publication or works in progress include "Bear Claw, The Moon of The Awakening", "Stars Above The Forrest Dark", "Necessary Lies" and "The Cirrana Women". 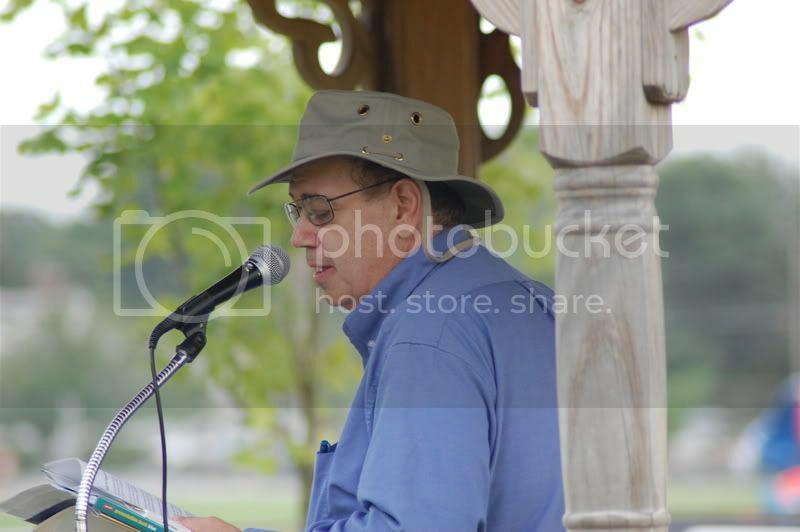 After far too many years working for others, including a brief stint as instructor for Continuing Education at Molloy College, this Long Island writer is now retired and devoted to writing, painting, traveling and working for and supporting poets by way of Poetyr Magazine's annual contests. Corrine grew up on Long Island and now lives in Bayside after graduating from St. John's University with an M.A. in English. She recently became an associate editor at celebratewithstyle.com a website, media company, and soon to be magazine. 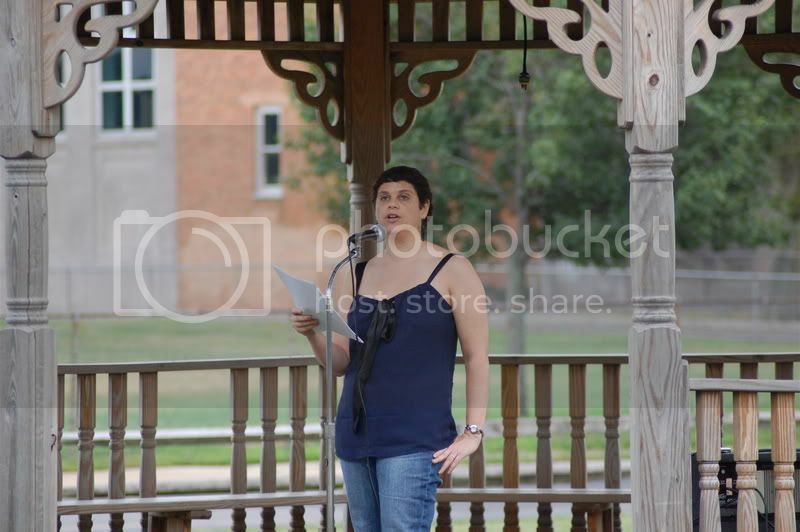 She has been writing poetry for about 7 years now, and had her first public reading at our Gazebo last year. Readings start at 7pm at Schoolhouse Green, located on Foxhurst Road, just east of Long Beach Road, Oceanside NY. How perfect was Monday night? The weather was the best of the year-- simply beautiful. The readings? Equally delightful. and Teri Coyne, reading excerpts from her novel, had the crowd on the edge of their seat. (Check out more photos below). This week we turn our event over to the Long Island Writer's Guild. They have selected 7 of their members to read for us--altering our usual 10 minute-per-reader pattern to fit their members within our 40 minute format. It promises to be an eclectic, and electric, evening! Shawn Patrick Cooke wrote his first book, in crayon, at the age of three. although thirteen out of sixteen pages were left blank, the remaining three did feature illustrations by the author. since then, Shawn has found more success with typing his stories. 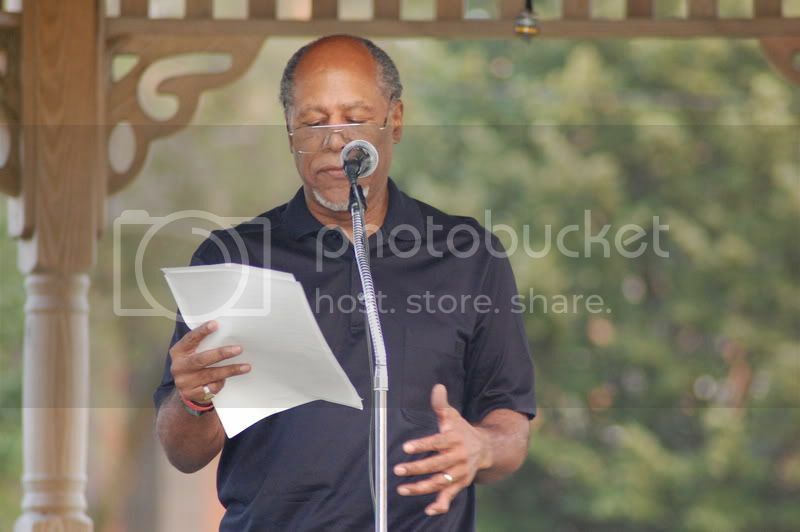 He has read at the Library of Congress, and has frequently placed in the Writers' Weekly 24-Hour Short Story Contest. He lives in Bohemia, NY which isn't nearly as iconoclastic as it sounds. Marilyn Goldsmith, who now lives in Syossett, NY with her husband, formerly taught English at C.W.Post College. She is a member of the Long Island Writers' Guild and the Taproot Workshop where she finds inspiration and encouragement from fellow writers. her poems have been published in an anthology,"Songs of Seasoned Women". Performance Poets Association, Mobius, The Farmingdale Poetry Group, Kaleidoscope Magazine, and the Taproot Journal, which in addition to her poetry, has published her prose pieces. Greg Lane:retired from Untied Airlines in 2003 with 27 years of service. presently operates small custom furniture business and writes. He holds a BA from Washington College, Chestertown, MD, lives in Massapequa with his wife, Barbara and twin daughters, Jackie and Lauren who graduated American University, 2008. His writing began with what he refers to as "a primitive novel that should have prompted a prison sentence." Greg recently finished his fifth, which is currently being edited for possible publication. Greg has been a member of the LIWG for the last five years, along with a number of private workshops. Ellen Lawrence was born in Switzerland to immigrant parents. She came to New York at an early age and now lives in Nassau County. A longtime animal welfare worker and a retired business owner, she wrote her first poem at the age of ten and has been writing ever since. She is a member of the Long Island Writers' Guild, and has written monthly poetry columns for local newsletters. Her work has appeared in many recent Taproot Journals and in the anthology"For Loving Precious Beasts". Many of her poems focus on her family and her pets. She has written short stories and children's picture books, and often writes about one of her favorite places, the beach. She is currently working on her memoirs. Ann Kenna is a constant student, wife, and mother. She meditates and strives to live in the moment. She has worked for many years in Special Education. She conducts poetry workshops with fourth and fifth grade students and ends each school year by publishing a chapbook of their work and hosting a student poetry reading. Her work has appeared in on-line publications, the Long Island Sounds Anthology 2007 and 2008, Primal Sanities, Oberon Poetry Journal and the Meadowlark. She has been a featured reader for Performance Poets Association, Poets in Nassau, and the Asbestos Arts Group. 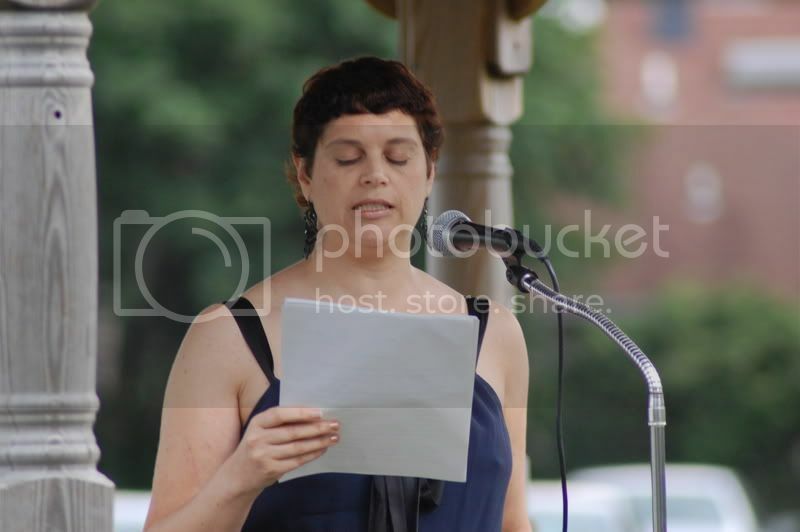 She is a member of the North Sea Poetry Scene, The Long Island Writers' Guild, Long Island Poetry Collective, and the Farmingdale Poetry Group. She spends huge amounts of time trying to tame an unruly Golden Retriever named Charlie. Ursula Nouza was born and raised in Columbia, South America, where children are exposed to poetry at a young age in the home and at school. Her love for language began in early childhood and as a result she came to the U.S. in her sophomore year of high school to learn English, followed by four years of Interpreter School in Switzerland. After working as an interpreter and translator, she returned to college to embrace her first love:teaching. Ursula has taught Spanish in elementary, middle, and high schools, and currently at the college level. 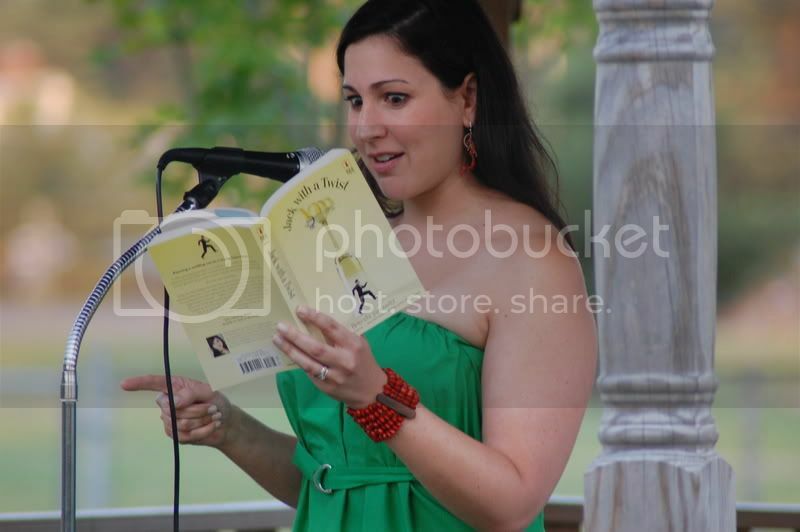 For the last five years, inspired by the LI Writers Guild, she has been writing poetry of her own, and two books. Ron Scott is a native of Brooklyn, NY who migrated to Long Island, via Queens, and a tour in the United States Army. He admits to alumni status from Syracuse University and New York Institute of Technology; both of which served as his foundation for a career in accounting. Ron is an avid sportsman,dedicated to the preservation of outdoor life in all capacities. A veteran of the Vietnam War, he credits his military experience for his introduction to the trials and rewards of the writer's life. Collectively, his work is meant to arouse the pensive and celebrate a sense of humor. Ron takes particular pride in offering material readers can identify with from their own experiences. The Summer Gazebo Readings are sponsored by the Kiwanis Club of Oceanside, in support of the Oceanside Education Foundation. 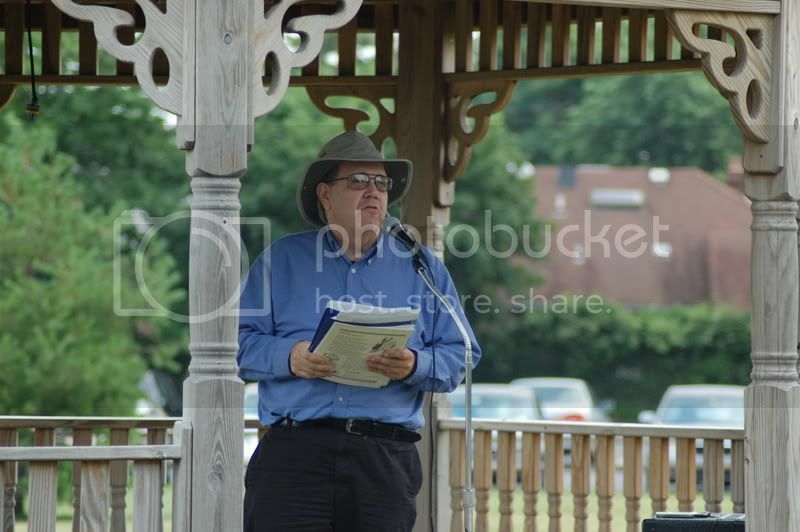 The Gazebo Readings will be held each Monday evening in June, July and August, and will feature 4 readers each evening. Scheduled readers include some of Long Island's most prestigious poets, published authors, comedians, fiction and non-fiction writers, and local community members sharing some of their favorite literature. 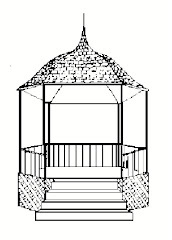 The Summer Gazebo Readings will be held outdoors; seating is limited, so bring a lawn chair, a blanket, a picnic table. 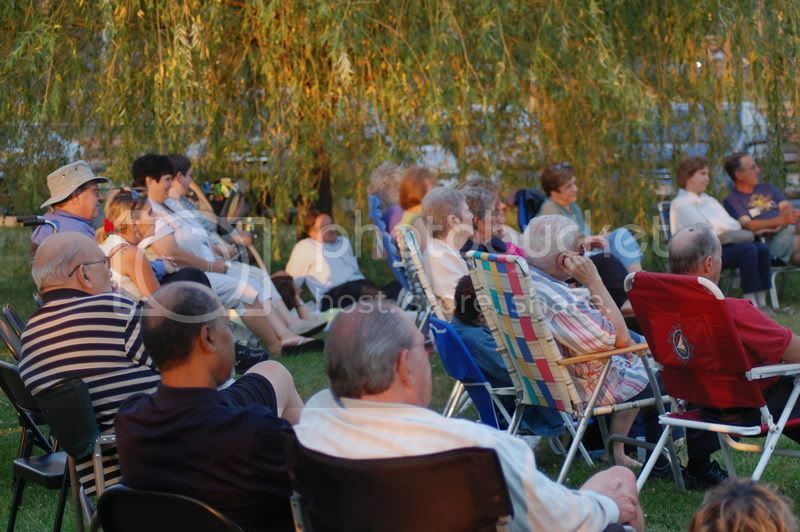 The grounds are open, and the public is encouraged to come early and have a quiet summer's picnic on the grounds.